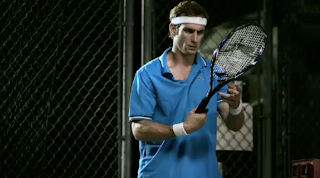 We love tennis, and we loved the idea of combining comedy elements into a sport/action concept. It was a great way to show how we like energy and motion, but at the same time be focused on performance elements and telling a story. I love spots that tell stories as well as deliver a message. As far as the vision, its all about the story. I am more interested in that than just making people laugh or cry or cheer. If you can do both, then that's the best combination. We looked for someone who was a regular joe, but you would believe could walk onto a tennis court. He had to be fit, able to actually hit a ball with a racket, and perform while doing the actions. So we went for an actor first with tennis skills being a second requisite. 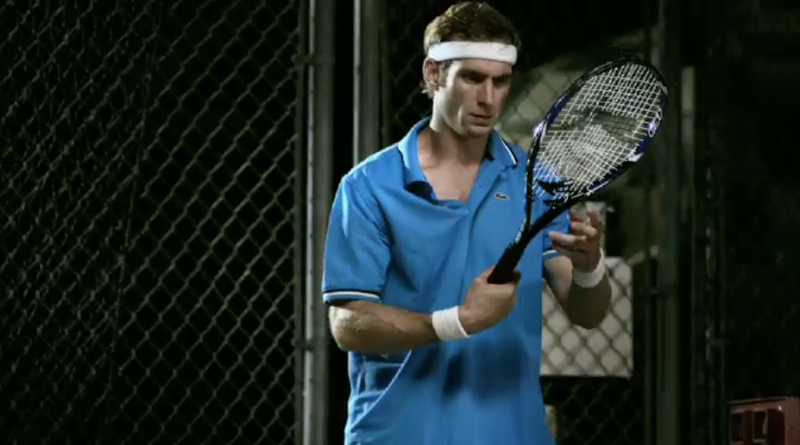 If we just used a tennis player, the struggle of the character wouldn't have worked. We pulled talent from outside of our region, so we had little chance to audition them. I would call them and just strike up a conversation with them after they had seen the script, and really had to choose based on the instinct that the actor could not only pull it off, but also take direction very well. We had quite a few batting cages in the area, but most were very old or tacky looking. We found one that had the cages up on a hill away from a driving range. It allowed for a nice wide void of space with great stadium lighting as the back drop. This way when you first established the scene it really could be a tennis club or court area. Kuni is a DP I work with regularly, and he was also looking to do some great night action sports work so he volunteered to help us with the project. The crew was a collection of favors from the normal crew base we work with on a regular basis on other commercial work. The biggest challenge was actually safely hitting a baseball with a tennis racket. We went through 20+ rackets. I tested the different speed cages first when we location scouted to see which speed was the safest and easiest to read on camera. The actual fast ball launcher almost broke my thumb and ripped the racket clean out of my hand. So we ended up using a 50 mph cage. It still broke the strings and in some cased cracked the racket. We shot a ton of coverage. So editing was more about finding those best quick moments. We started with a 60 second cut that told more story had more of a build up, but in talking with the writer, the 30 second cut was more pure, told a more concise story and after getting his fresh eyes on it, his notes made a big difference in helping finish a 30 second version. I would have loved to had the budget to do a few high speed shots of the ball actually shattering a stunt racket, but that required more money and fabrication than we had the chance to do. But other than that, it was exactly what we wanted to accomplish on our budget.